Stainless steel AISI 316 double eyed swivel. Length: 50 mm, Width: 19,5 mm. Stainless steel AISI 316 double eyed swivel. Length: 60 mm, Width: 23 mm. Stainless steel AISI 316 double eyed swivel. Length: 65 mm, Width: 26 mm. Stainless steel AISI 316 double eyed swivel. Length: 90 mm, Width: 35 mm. Stainless steel AISI 316 double eyed swivel. Length: 115 mm, Width: 44 mm. Special anchor shackle made with embedded pin. Made of AISI 316 stainless steel. Enables the anchor to fit into stemheads without getting tangled. Length: 24 mm, Width: 12 mm. Special anchor shackle made with embedded pin. Made of AISI 316 stainless steel. Enables the anchor to fit into stemheads without getting tangled. Length: 32 mm, Width: 16 mm. Special anchor shackle made with embedded pin. Made of AISI 316 stainless steel. Enables the anchor to fit into stemheads without getting tangled. Length: 40 mm, Width: 20 mm. Special anchor shackle made with embedded pin. Made of AISI 316 stainless steel. Enables the anchor to fit into stemheads without getting tangled. Length: 48 mm, Width: 24 mm. Special anchor shackle made with embedded pin. Made of AISI 316 stainless steel. Enables the anchor to fit into stemheads without getting tangled. Length: 64 mm, Width: 32 mm. Shackle made of AISI 316 stainless steel. Forged and mirror polished. Length: 16 mm, Width: 8 mm. Shackle made of AISI 316 stainless steel. Forged and mirror polished. Length: 24 mm, Width: 12 mm. Long shackle is made of forged, mirror polished AISI 316 stainless steel with excellent finish. Length: 40 mm, Width: 10 mm. Long shackle is made of forged, mirror polished AISI 316 stainless steel with excellent finish. Length: 48 mm, Width: 12 mm. Long shackle is made of forged, mirror polished AISI 316 stainless steel with excellent finish. Length: 64 mm, Width: 16 mm. Long shackle is made of forged, mirror polished AISI 316 stainless steel with excellent finish. Length: 80 mm, Width: 20 mm. Long shackle is made of forged, mirror polished AISI 316 stainless steel with excellent finish. 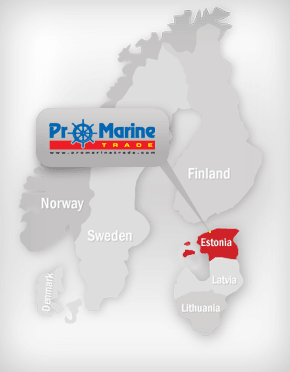 Length: 96 mm, Width: 24 mm. Bow shackle is made of mirror polished AISI 316 stainless steel, fine finish and sliding thread. Diameter: 14 mm, Height: 16 mm. 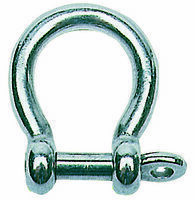 Bow shackle is made of mirror polished AISI 316 stainless steel, fine finish and sliding thread. Diameter: 21 mm, Height: 24 mm. Bow shackle is made of mirror polished AISI 316 stainless steel, fine finish and sliding thread. Diameter: 28 mm, Height: 32 mm. 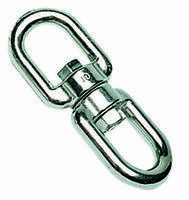 Bow shackle is made of mirror polished AISI 316 stainless steel, fine finish and sliding thread. Diameter: 34 mm, Height: 40 mm. 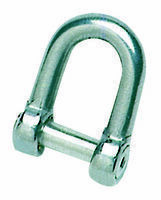 Bow shackle is made of mirror polished AISI 316 stainless steel, fine finish and sliding thread. Diameter: 56 mm, Height: 64 mm. Twisted shackle is made of investment cast stainless steel, very sturdy, excellent finish, long torsion. Length: 28 mm, Width: 12 mm. Twisted shackle is made of investment cast stainless steel, very sturdy, excellent finish, long torsion. Length: 34 mm, Width: 13 mm. Twisted shackle is made of investment cast stainless steel, very sturdy, excellent finish, long torsion. Length: 41 mm, Width: 17 mm. Twisted shackle is made of investment cast stainless steel, very sturdy, excellent finish, long torsion. Length: 47 mm, Width: 21 mm. Twisted shackle is made of investment cast stainless steel, very sturdy, excellent finish, long torsion. Length: 60 mm, Width: 25 mm.